This is the first article in this series about creating a blind and shade temperature and light sensitive monitoring system using the BroadLink® HA-RFIRW-5V automation hub phone app and ES-WIFI-5V e-Air environmental sensing module. The e-Air environmental sensor can monitor VOC (Volatile Organic Compounds) air quality, temperature, humidity, light level, and sound level. It also has IFTTT event capabilities (if-this-then-that) that can trigger the automation hub to activate our blind motors, skylight/window openers, smart film, drapery motors, and many other devices, such as fans and LED lights. 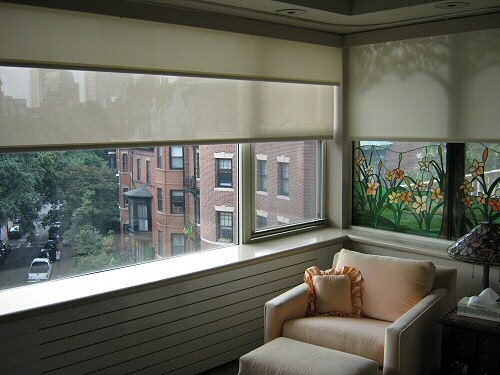 In this article we will be discussing the temperature and light level aspects of the sensor as applied to the operation of a double motorized blind or shade, such as the dual blind setup you see in the picture. This photo was kindly provided by one of our clients that we helped to make a dual blind system. If you didn't see the previous article series about using our HA-RFIRW-5V controller hub for home theater, you may be interested to review that series as this IFTTT environmental sensor is an add-on to that system. 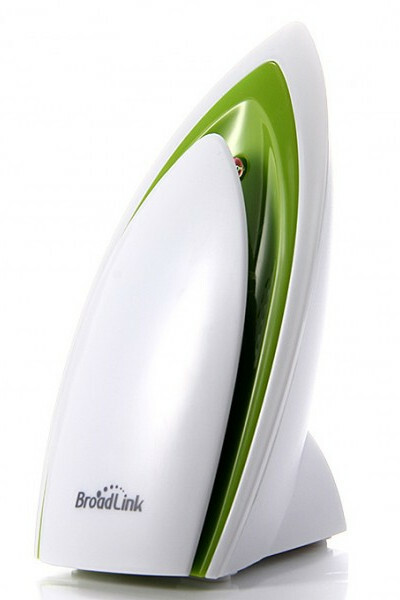 It does not need the hub to operate, but you'll need it if you want to simulate remote control of devices with RF or IR. If you are looking for a simple light sensor to control your shades, you might consider our stand-alone light sensor for series G motors. The next article will discuss the software setup and activation of the IFTTT (if-this-then-that) environmental sensor. If you are interested, you can purchase these products in our DIY blind and shade online store.